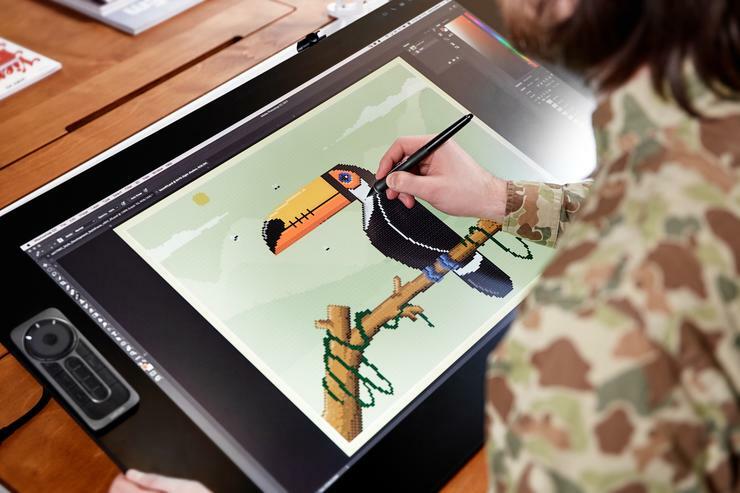 Wacom has added the Cintiq Pro 24” display to their Cintiq Pro high-definition range. The new 24” Cintiq Pro pen display joins the previously introduced 13-inch and 16-inch models. “The colours are exceptionally vibrant and even at mid-range brightness settings, the screen is already perfectly lit,” said Artist Hieu Nguyen. “The size of the tablet is also a huge bonus. It’s perfect when it comes to painting digitally as it gives an ample amount of physical space to work on,” added Nguyen. The tablet features 4K display, 98% Adobe RGB colour accuracy and a billion colours. The display also features new Pro Pen 2 technology, etched glass surface and reduction in parallax through optical boding and close-to-zero latency. “We know that professional artists and designers are facing an increasingly vast array of computing and display demands as they embrace emerging technologies like augmented and virtual reality, and 3D, where one size doesn’t fit all,” said Faik Karaoglu, Executive Vice President for the Creative Business Unit at Wacom. “Everyone has their own way of working and we are excited to offer larger sized digital canvases with flexibility the provides more pen space for those who need it to create,” added Karaoglu. The Wacom Cintiq Pro 24 pen only is available for $2999. The Wacom Cintiq Pro 24 pen and Touch is available for $3499. For more information, visit www.wacom.com.